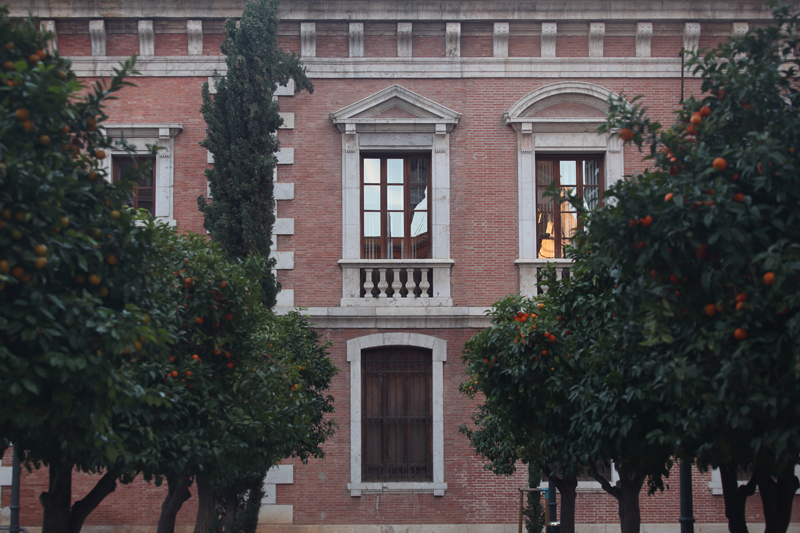 La Nau Cultural Centre is located in the historical building of the Universitat de Valencia, former General Study. The initial works of this important building were done at the ending of the 15th century by Pere Compte and Pere Bèrnia, according to a contract signed on the 16th August of 1498. It was from its unification with different houses that the first university building was born. Despite that, its current facade was done in 1839, when the government of the Universitat de Valencia decided to rebuild the old building. During this intervention, the Main Cloister was build, becoming a characteristic feature of the construction. The sculpture of humanist Lluis Vives, symbol of the Universitat de Valencia, is located the centre of this patio. In the 1940s, architect Javier Goerlich Lleó built the second floor of the cloister. In recent times, especifically in 1999, the building underwent a significant reconstruction by architects Antonio Escario and Luis Carratalá. This work made the historical Universitat de Valencia into the current La Nau Cultural Centre, now one of the cultural spaces with greater projection of the city. Amongst the most important chambers are the Paranimf or Academic, The Sapience Chapel (with the magnific table of the Virgin of the Sapience), the Historic Library and the numerous exhibition rooms. Because of its historical-artistic importante, the building was declared Bé d'Interès Cultural (BIC) in the category of Monument in 1981.